Literature doesn't levitate over the messy mayhem of life. It is not a flower which blooms in isolation. Stories begin to breathe in the cusp of social context and the characters of the story. The delicate balance between the data and the desire, statistics and the sublime texture of human feelings extending between the individual and the environment- is where Literature finds its feet. The success and failure of a writer lies in reaching this place of perfect balance. If she leans too much towards the environment, she ends up writing propaganda pamphlet; if she leans totally towards the individual, she ends up writing a handicapped story resembling a diary, written from the perspective of one individual only. Even when someone like Dostoevsky writes Notes from the Underground, which largely happens within the mind of the protagonist, there is still a definite sense of society in which the individual exists, even if by implication. 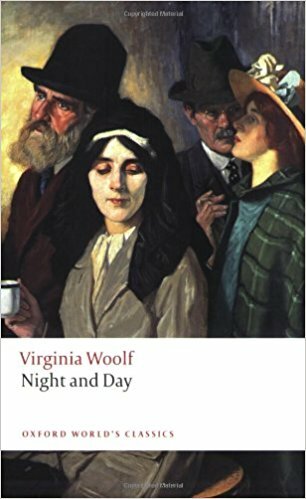 Night and Day, which is the second novel of the most exceptional novelist of last century, Ms. Virginia Woolf (1882-1941) after On Voyage Out.While her first novel was widely appreciated, this was not exactly the darling of many critics in her time. 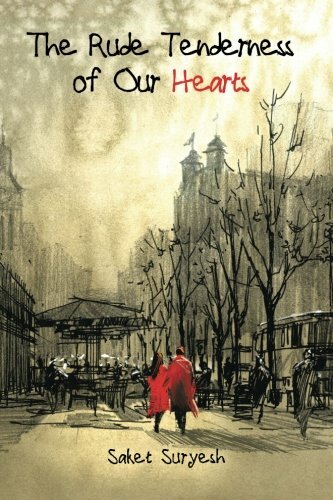 Ms Woolf tells a story, beautifully, painstakingly, with each word carefully picked and polished. Unlike her later books, for instance, The Waves, Ms Woolf does not toy with experimental-ism in this novel.This is a story well-told as Ms. Woolf's stories are and writing exquisitely, as she always wrote. The story, much in Dostoevsky fashion, is written with the characters given huge emphasis. Words dance in the dark distances between human souls, expanding a moment and contracting the other, like a humongous beating heart, which connects all the characters of the story. Words are beautifully placed, taut but never tense; softly ripe, but never limping into too much of ripeness. "The strangeness lies in her aloofness, her air of quiet perfection, her lack of any sign that she has made a perilous voyage- the absence of any scar." While I love Katherine's writing, I do not agree with her. Ms Woolf's characters don't float with aimless ambiguity like balloons. They have their feet on the ground, firmly placed in a very real world. One finds the references to the struggle for women's voting rights, the class conflicts between an elite and erudite literary lit-up world of Katherine Hilbery, grand-daughter of a famed writer, scion of a rich, culturally and economically rich family. Mary Datchet is a study in contrast, who comes from not a privileged background and still has carved a space for herself by choosing the life of a working woman and in process, writes Ms Woolf, lost the look of the irresponsible spectator and had taken on that of a private in the army of workers. She is written with amazing clarity about the cozy club of entitled elites, who go about trotting their famed family names. Unfortunately, things today haven't changed much from the way they were in 1919. It is this timelessness and eternal beauty of language which makes this book thoroughly enjoyable. Do read. This book is like a mirror to human life and human history.